Western Clinic Medical Centre | One-Stop Medical Clinic for Families! 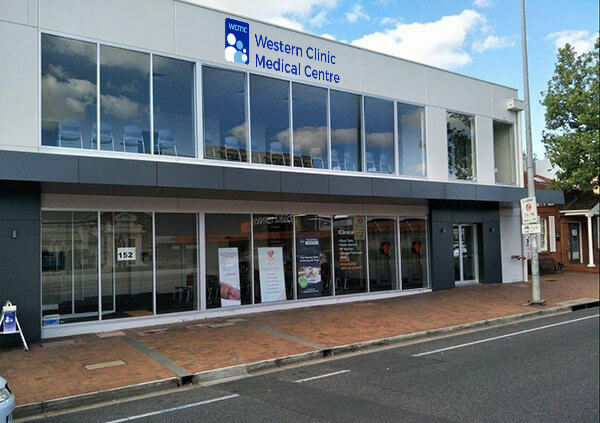 For nearly eighty years, Western Clinic Medical Centre on Henley Beach Road at Torrensville has provided care to patients throughout the surrounding western suburbs. The practice originally operated under two branches: The Torrensville Surgery and The Western Clinic, both founded and run by general practitioners with a passion for looking after the local and wider community. Today, more than half a century of knowledge and experience in a range of family medical fields comes together under a single, privately owned general practice (GP Adelaide). A wide range of services is available, including women’s health, men’s health, vaccinations for travel and childhood, care planning relating to chronic diseases, skin cancer checks, cardiac checks and health checks for Medicare 45+ and 74+. The clinic also offers physiotherapy, podiatry, psychology and mental health services, orthopaedics, dental services, nutritional and dietetics expertise, specialist cardiology and daily on-site pathology collection. With Registered Nurses and GPs consulting across seven days, the needs of every patient who walks into Western Clinic are met, as they have been for generations. The clinic aims to maintain good relationships with patients, and ensure each visit to the practice is as pleasant as possible. This aligns with our strong belief that positive relationships result in a positive health outcome. Western Clinic is a mixed-billing practice. Those with health care or concession cards are bulk billed, while those who pay the full fee are instantly rebated via Easyclaim. For walk-in patients, a duty doctor is offered, subject to availability, upon request at the reception desk. To book online, download our app MaNaDr. The clinic is run by Partners Dr Geoffrey White, Dr Peter Chia, Dr Juliana Nicholls, Dr Sumeet Dhillon, Dr Michael Siaw and Dr Bakr Salih. Patients can also see our Associate Doctors, Dr Patrick O’Leary and Dr Snigdha Das. Our fantastic team of nurses is comprised of Anne RN (nurse manager), Jane RN, Carol RN, Sue RN and Jeanie RN. The practice is managed by Maria, with Tracy in charge of administration. Heather, Audrey, Desi, Diane, Kim, Tina, Rakshi and Sarah are the friendly faces available to help patients at the reception desk.